"Happy Place" with Nina Morariu - Veni Vidi Amo! Nina gave me the feeling of a super positive, always in love with life and people kind of person. Could that be so? Let’s discover her together! Veni Vidi Amo! : Who is behind Happy Place? Tell us more about you. Nina: My name is Nina. I am a human in love with life, people, nature, travel. A person who discovers and rediscovers herself every day through her life experiences. I adore the morning sunshine, the smell of coffee, lazy Sundays in two, the fresh air and the silence in the forest, long walks hand in hand on narrow streets of a newly discovered town, books, flowers, animals, people that believe in themselves and follow their dreams …cherries, bicycle rides, the color in all its forms, the feeling of being here and now – in the present moment – and appreciate the small joys of life. What determined you to write about your travels? I have always had a passion for writing, even if I kept it locked in a drawer for a long time. I still have moments when I want to write and I am unable to, and other moments when the inspiration is simply flowing. I have learned to let it flow and come at its own pace without forcing it – I truly believe that the feelings you put in writing go beyond your text – so I prefer to write when I am in a writing mood. About the blog and travels – the trigger was an email I got in my Inbox regarding a travel writing course – I then realized I can share my experiences with other people, the places I have seen, the feelings I have felt, the rediscovery… that I have received so much from God and I can give something back to others, that I can somehow contribute to their wellbeing… I am passionate about living my life in my own terms and inspire others to live their dreams. Sometimes there is a lot of self-work involved, but the rewards of a conscious life, lived in your own way and your own style are inconceivable beautiful! What do you think are the greatest illusions people have about traveling? I rather believe there are preconceptions about travel. One of them – that you need a lot of money to travel. It depends a lot on what you want and where you want to go. 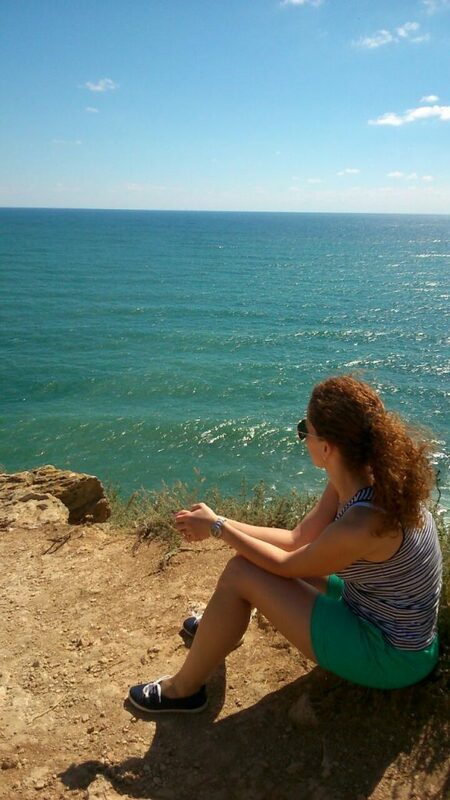 There are beautiful locations where you can travel with less money (even less than for a weekend at our seaside) and luxury locations, not that accessible. And a lot of others in-between. Even for the same destination, there might be a huge budget difference depending on your desires. Another preconception that I came across is that French, German, Austrians are cold people and not that welcoming. I have had some awesome experiences with them, warmhearted and welcoming people that made me feel spoiled and at home. From my own experience, I realize each travel produces transformations inside us, it determines us to constantly reevaluate ourselves, to see things differently, to perceive the people and values around us differently. At what level do you consider you have changed because of your travels? Do you regret any of these changes? I consider the openness, freedom and new perspective travel offer you bring changes at a deeper level. Each new trip enriches me, both at an experience and a spiritual level. After each new place visited, I return a new person, because I cannot still be the person I was before. I have added some more bricks to my development, to my way of thinking, of living, of being. 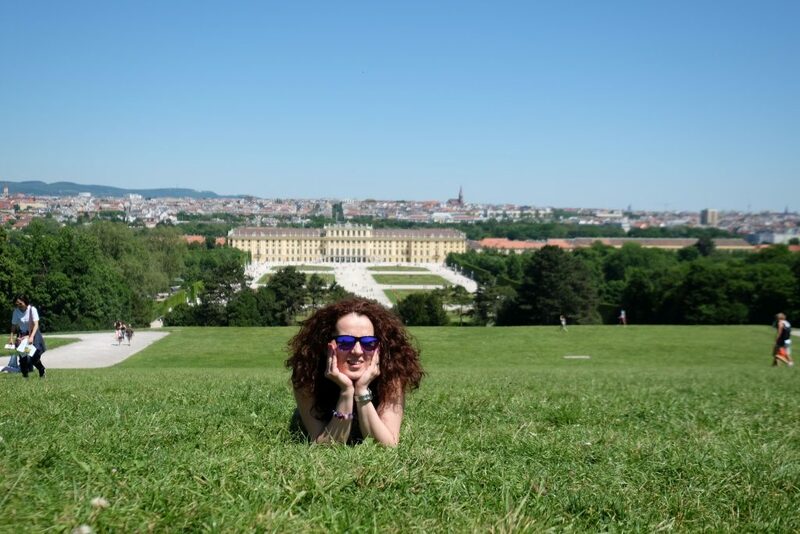 I believe this is valid for each experience and each moment of our life, but traveling offers a different intensity, by shaking out our comfort zone and showing us different facets of the world, other styles of living and other traditions. I am grateful for all the chances that I am receiving from life – to grow, to live, to love. More and more each day. Some love to read unusual stuff from our trips; about the experiences that rebuilt the faith in humanity, but also about the not so positive experiences – especially because there are a lot of misconceptions about some nations or destinations. Tell us about your positive experiences, but also about the negative ones and their impact on you. I am happy to say most of my experiences were positive. Or I have chosen to see them this way. The less positive, let’s say, were those linked to my expectations I created for a place – city, hotel etc. In these cases, if I cannot change anything, I try to ignore it and see the good part of it, enjoy my vacation and my time there. I guess I have become more tolerant with each new trip. What is your greatest accomplishment in your life until now? What about the one achieved through your blog? My family and my beloved ones – this is my greatest accomplishment. Regarding the greatest accomplishment with my blog, it is the courage to expose myself, to stand up for myself and my opinions. If you could go back in time with 5-10 years, what would you say to young Nina? Have faith! Have patience! You are awesome! Myself, for example, I find inspiration and motivation in reading, movies, music, and people. They make me vibrate, they challenge me intellectually, they fuel me with energy. Where do you find inspiration to continue, to write, to do all that you have to do? What motivates you? What puts you in motion? I fuel myself with energy by spending quality time with my beloved ones, being constantly in motion (I practice yoga, cycling, jogging), spoiling myself with a massage or meditating. Also, I read a lot and I like to challenge myself intellectually by always learning new things so that at any given time you can find me enrolled in a new school, a new course or documenting for some new skills to learn. Do you have a favorite picture from your travels? I have more than one favorite picture – most of them with landscapes from the places I’ve visited. 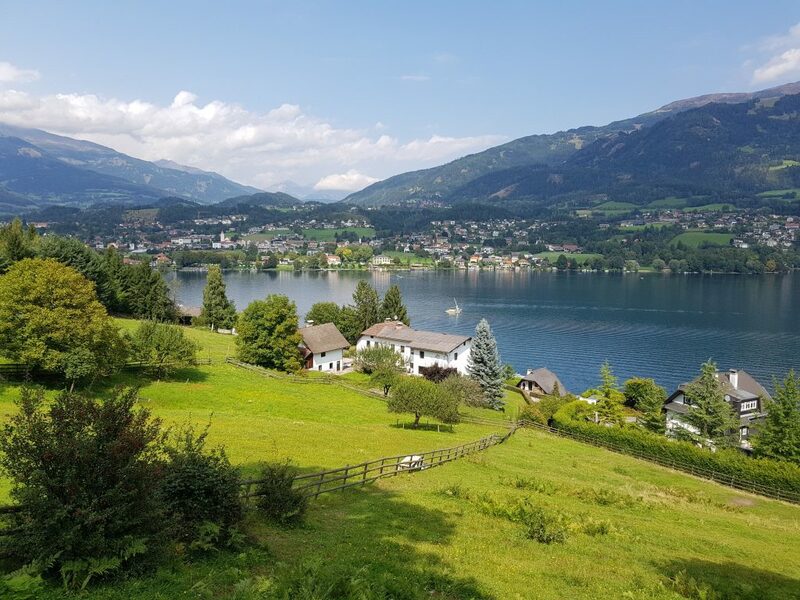 The picture I have chosen was taken during a cycling ride around the Millstatt Lake in Austria. Let’s talk a bit about the future. What plans do you have with your blog? But personally? What is your next destination and why have you chosen it? I have big plans in all the fields of my life. I will continue to write about my travels and experiences, but my wish is not just to inspire, but to motivate and help other people (mainly women) to live the life of their dreams. I am working intensely at a new project that will be launched in a couple of months. I haven’t set yet the next destination – but most probably will be somewhere in Italy – for a thousand times and reasons. I love this country and I want to explore each little corner of it. It is a country that has so much to offer – from history, art, landscapes to… food. Mamma Mia! Nina’s adventures can be followed on Facebook, Instagram or her blog.